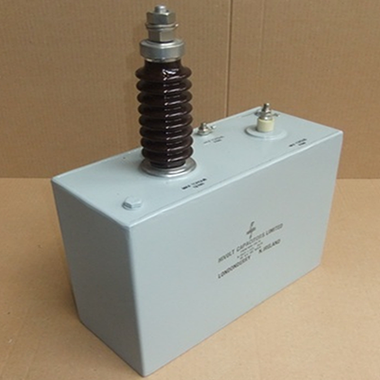 Capacitor rating 20kV dc, 20nF. 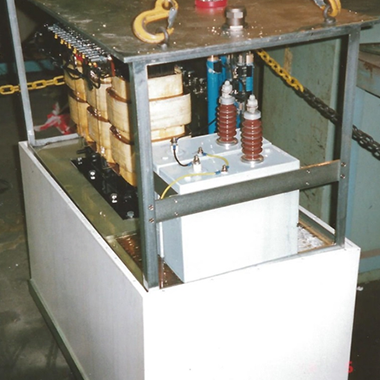 This custom build capacitor is part of a high-voltage multiplier circuit in a HV psu for X-ray equipment. The capacitor winding is resin encapsulated. The resin encapsulated unit is further encapsulated with other components to make up one stage of a multiplier stack. These are then assembled into a HV Power Supply Unit (PSU). Capacitor rating 8kV discharge, 4 x 16uF. 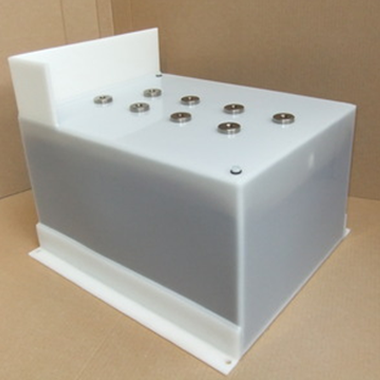 Four capacitor banks are assembled into a custom design PPR case. 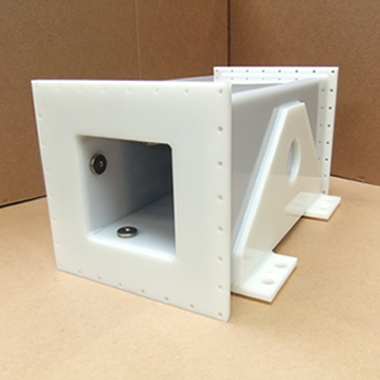 A custom design PPR case is for a "thumper" unit which is used for cable fault location. 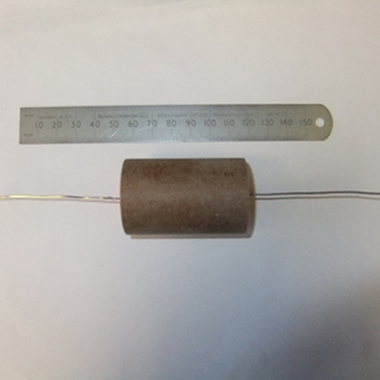 Capacitor rating 60kV dc, 4 x 0.125uF. 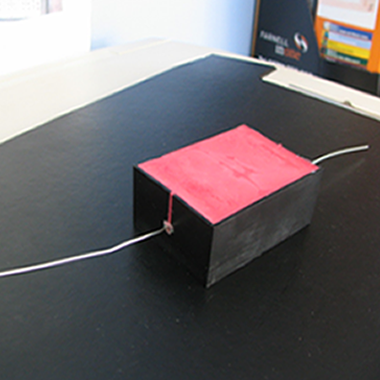 This plastic cased capacitor is a special mechanical design for a radiotherapy application. 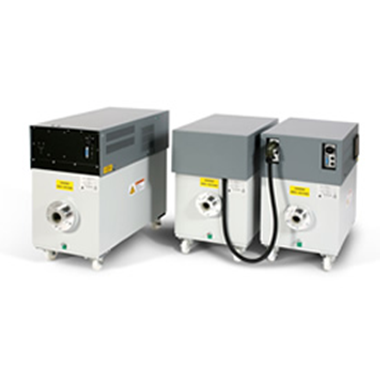 It contains four capacitor banks and eight terminals with customised brackets and flanges for mounting. The capacitor functions as a reservoir capacitor for a pulse modulator. 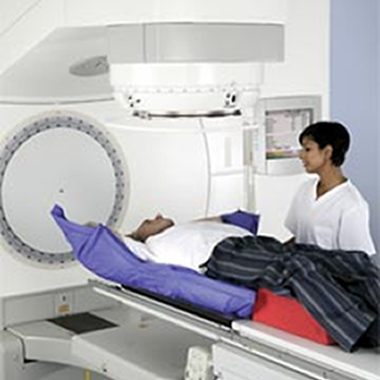 The plastic cased capacitors are used in radiotherapy applications. 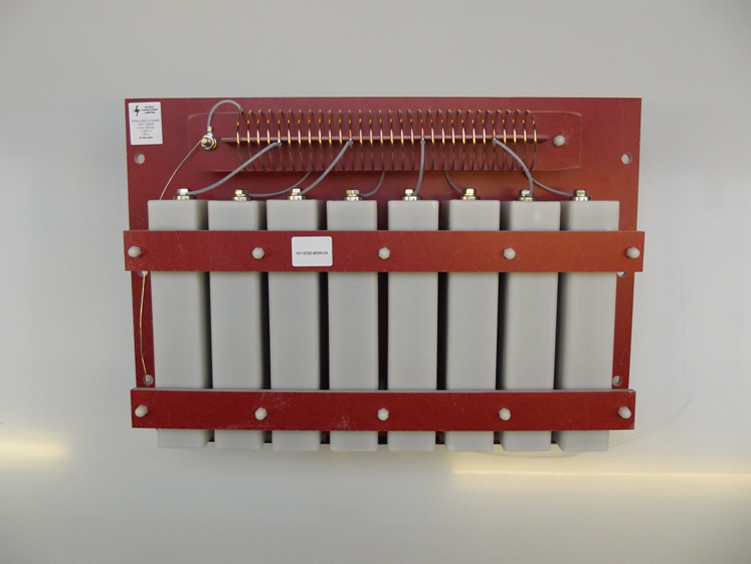 Capacitor rating 30kV discharge, 10nF. This capacitor with special internal construction is used in Extra corporeal shock wave lithotripsy (ESWL) which is a non-invasive treatment of kidney stones (urinary calculosis) and biliary calculi (stones in the gallbladder or in the liver) using an acoustic pulse. It is estimated that more than one million patients are treated annually with ESWL in the USA alone. 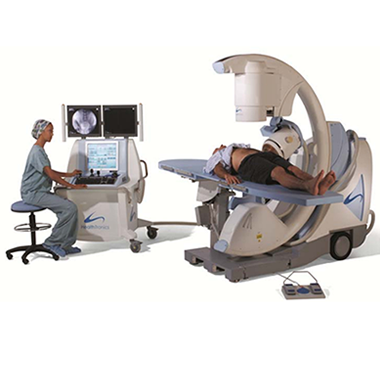 The Lithotripsy is used in extra shock wave lithotripsy which is treatment of kidney stones. It is estimated that more than one million patients are treated annually with ESWL in the USA alone. Eight custom design PPR type capacitors are assembled into the pulse forming network of a line-type modulator that generates HV pulses to drive a microwave magnetron. 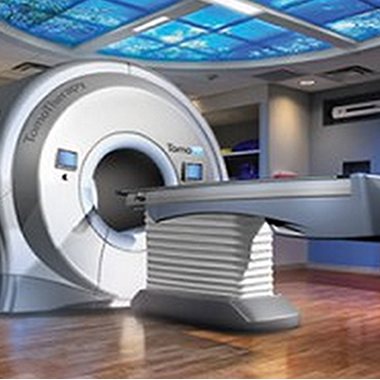 The Pulse Forming Network is built into radiotherapy equipment for cancer treatment. Capacitor rating 15kV dc, 2uF. 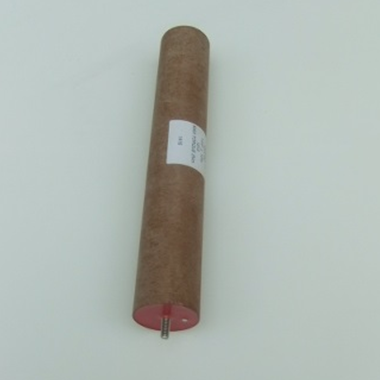 This PMR capacitor is fitted with an internal discharge resistor and used in the power supply for laser cutting equipment. 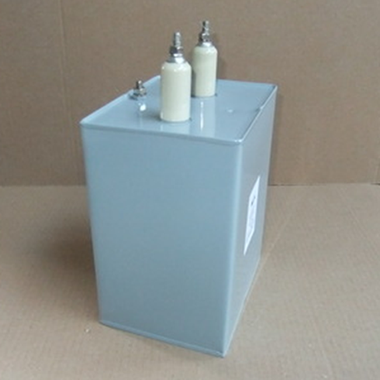 Capacitor rating 15kV dc, 7.5nF. 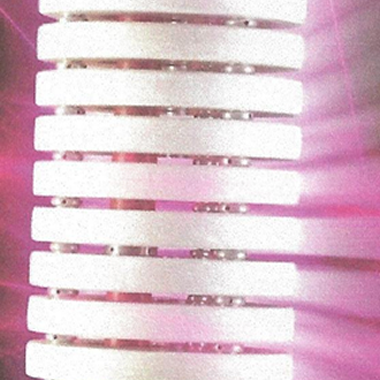 A custom design TPM type capacitor is part of a high-voltage multiplier circuit in a HV p.s.u. 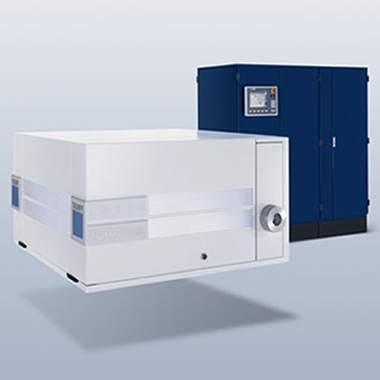 for X-ray equipment. HV stack built up of discs containing two of the above capacitor. Capacitor rating 60kV dc, 0.15uF. 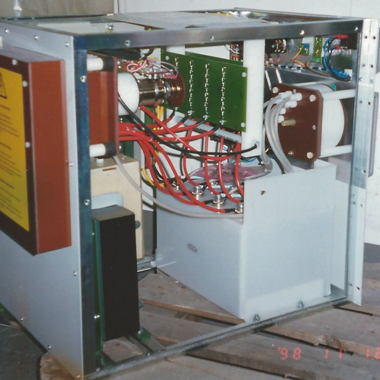 The welded steel case capacitor is used in the power-supply of an electron beam welder. 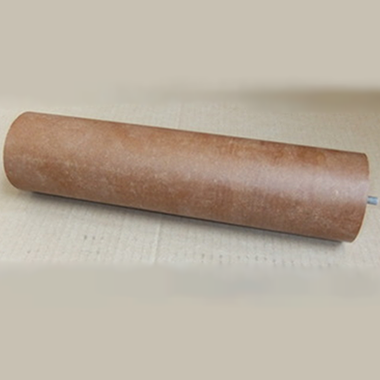 Capacitor rating 30kV dc, 47nF. 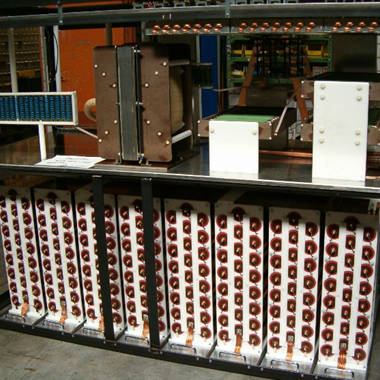 192 of the larger Resin sealed, Resin Bonded Paper Tubing (TLC) type capacitors are installed in this high voltage power supply used in the manufacture of X-Ray tubes.